IBS Business School Gurgaon has been in the forefront of management education since 1995. During its 20 years journey, the Institute has all along strived to promote highest order of academic rigor coupled with skills required by corporate in a fast changing world. We do this by enabling the students to explore their potential and identify areas where they can excel. We work creatively to provide the students an intellectually stimulating environment. At IBS Gurgaon, students are at the centre of all initiatives and innovations in the teaching -learning process. Continuous efforts are made to deliver the program in a manner that encourages students to actively participate in real life problem - solving processes through extensive use of participative methods including case studies, problem based learning and action learning. Interaction with senior industry professionals, industrial visits are regularly undertaken to inject applied orientation to the program. Summer internship of 14 weeks is a unique feature of IBS. Students benefits from hands on experience. They gain fresh insights in to how businesses take decisions after considering various alternatives and weighing pros and cons. Students immensely enjoy this phase of the program as it enables them to see the relevance of rigorous academic delivery experienced by them at the campus in the first two semesters and the way actual business is conducted. They come back far more confident with added ability of conducting themselves appropriately in an organizational hierarchy. Many of our students earn pre placement offers during summer internship. IBS has a very strong Alumni base of over 37000 professionals occupying middle to senior positions in many of the best companies around the world. Students would have series of opportunities to benefit from the experience of this vast reservoir of professionals. I assure you of a very rewarding period ahead. The ambience of rigorous academics at IBS-Gurgaon, and the enviable list of its illustrious alumni adoring corporate corridors, has continuously drawn the industry to its campus. The proximity to some of the leading corporate houses in the country gives its students an excellent opportunity for integrating classroom knowledge with practical experience. Students have formed several clubs such as the Marketing Musketeers, the Cyborgs, the Quiz Master, and the Bookworms, and they organize and conduct competitions and events. The students organize events like Sham-e-Awadh (Tradition day), blood donation camps, etc. 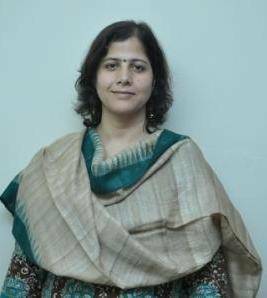 Professor S C Sharma has been with IBS Gurgaon since 2010 and took over as Director IBS Gurgaon in December, 2014. He belongs to the Indian Economic Service, batch of 1971 and is an economist, having highly versatile experience of over forty five years in economic and financial analysis, management and teaching. He has worked at various policy analysis levels in the Government of India including the ministries of Finance, Industry, Cabinet secretariat, etc. He studied at University of Delhi (Institute of Economic Growth), Bath University, England and Pennsylvania University, USA. During 1983-85 he was the Chief Research Officer in the office of the Economic Advisor, Ministry of Industry and was the head of the Industrial Finance Division. In this assignment he was involved in the analysis of the investment climate, estimation of demand for short-term and medium-term credit and long-term capital requirements of different industries and was engaged in keeping track of investment policies of All India Term Lending Institutions as also developments in financial & capital markets. He also assisted Secretary/Additional Secretary in Department of Industrial Development who were on the Board of Export-Import Bank of India, Industrial Development Bank of India, Industrial Finance Corporation of India and Industrial Credit & Investment Corporation of India in project appraisal and formulation of comments on the Board Notes of these institutions. He was Economic Advisor, Steel Authority of India (SAIL) in late eighties. He, along with other experts, visited Japan and South Korea in December 1988 to study the Competitiveness of Indian Steel Plants in comparison to the best steel plants of the world and prepared a Report for Bureau of Industrial Costs and Prices. He was a member of sub-group on Steel Sector for 8th Five Year Plan. 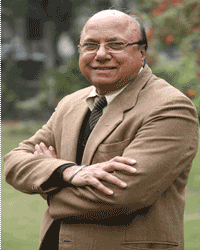 As Executive Director Housing and Urban Development Corporation for over seventeen years, he headed various departments including the department of HRD, Retail Finance, Organizational Systems and a Research and Consultancy organization (HSMI) which had international collaboration with Institute of Housing Studies, Rotterdam. As Executive Director Organizational Systems (1994-2000) Prof. Sharma led a multi-disciplinary Study Team set up by the Government of Tamil Nadu, comprising of members from finance and project disciplines of HUDCO for undertaking an Organizational Improvement and Restructuring Study of Tamil Nadu Cooperative Housing Federation (TNCHF). He also worked on a book titled - "The corporate Story of HUDCO 1970-1995". He was Professor of Economics at LBS National Academy of Administration, Mussoorie (1976-1982) where he was engaged in teaching, training and counseling of IAS officers. In June 2011, Prof Sharma was invited to Shanghai, China by Carnegie Corporation of New York to participate in a Symposium on Global Financial Crisis and the Future of International Monetary System. He has travelled abroad extensively to organize and participate in International seminars, work-shops, panel discussions, etc. He has been Editor of two reputed Journals in the field of management and has considerable published research work to his credit. PHD (THESIS UBMITTED ), UGC-NET,MBA,A(III),B.SC. "Traveling, Driving & Cooking are his hobbies. Tamal was hired from campus by GE Capital for their India Bank Cards Division. He then moved to two start-ups & grew to management ranks. Next he joined Oracle to manage their ERP Receivables team for Europe, Middle-east & Africa. Finally, he joined his present organization Unisys where he looks after the entire internal Enterprise Applications Practice & heads the Global SA Division in India. His team is involved in Global Delivery of ERP, Supply Chain, Knowledge Management, Business Intelligence, Professional Services & other IT assignments. He is also a qualified PMP from PMI, USA & a Mathematical Statistician. Tamal enjoys playing cricket (he is the captain of his corporate cricket team), watching Clint Eastwood's spaghetti westerns, esoteric & Vedic astrology, tarot-reading, quizzing, and traveling, and meditation & reading management books. His interests include Project & Portfolio management, IT consulting and Quality.